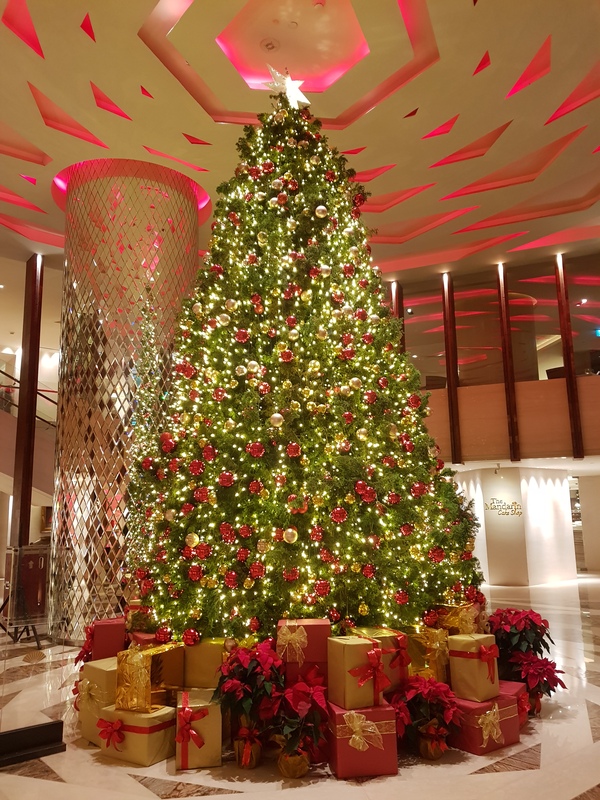 I recently stayed at the Mandarin Oriental Jakarta when I had a year ending business trip to Jakarta, Indonesia. 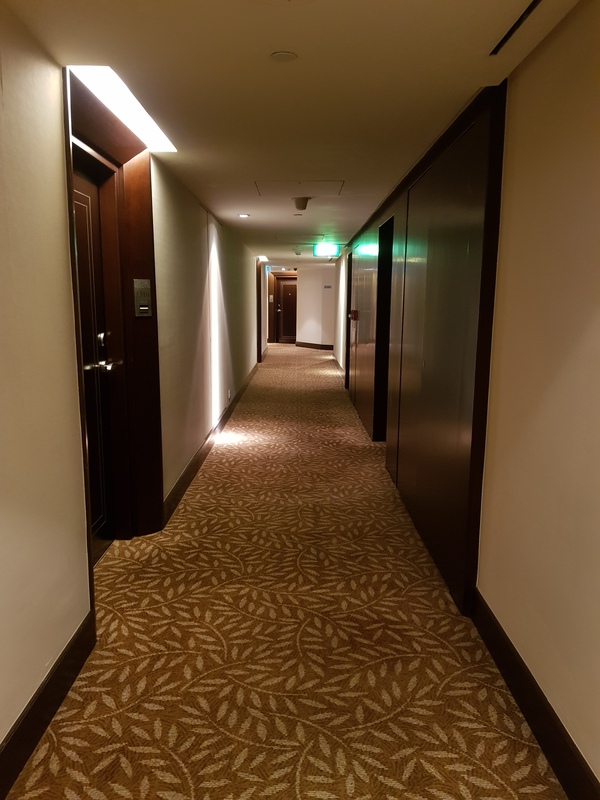 I really would have preferred to stay somewhere more conveniently located for walking (even though the Grand Indonesia Mall is right across the street you still have to go the long way around to get there), but Mandarin Oriental Jakarta it was due to the local company having corporate rates there. 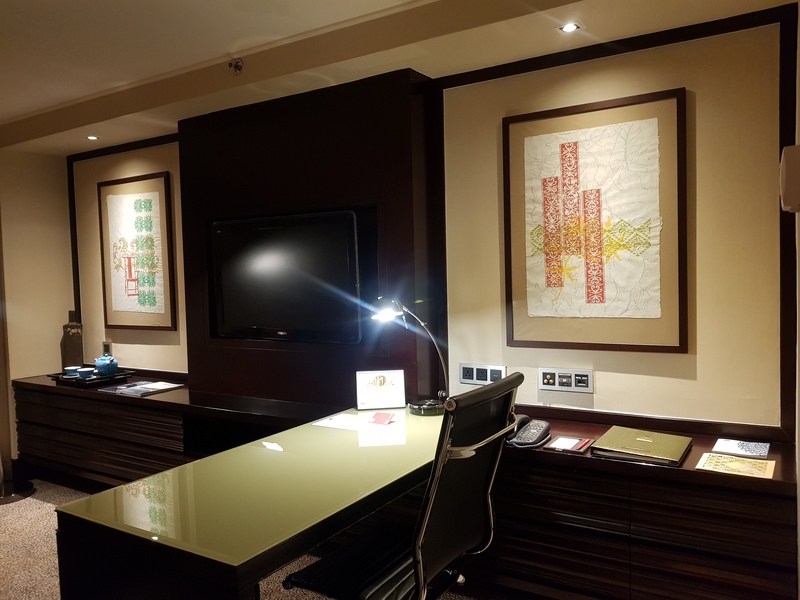 Unfortunately, staying under a corporate booking in this case also meant that I could not get the 500 KrisFlyer miles that Mandarin Oriental gives in lieu of a membership program. 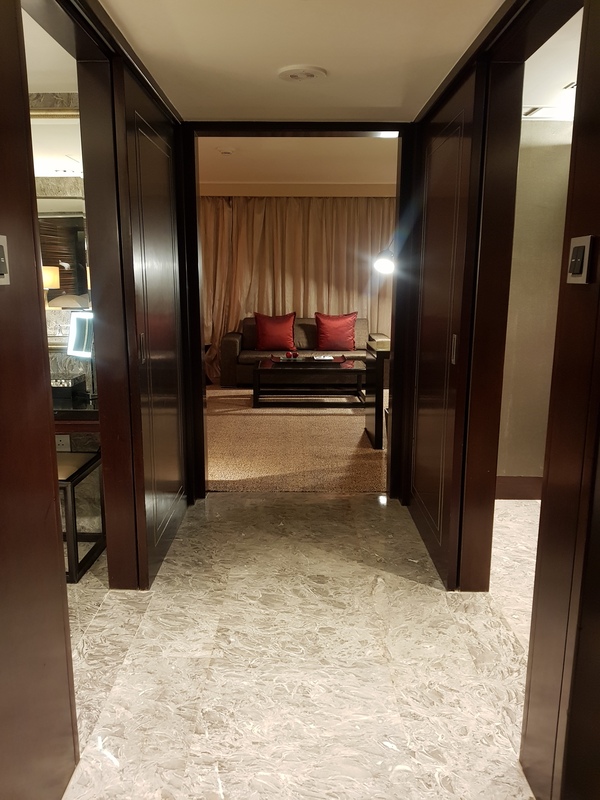 I’m not sure how I feel about the dark theme going on in the corridors and also the Deluxe Room I was staying in. All a bit too moody for my personal tastes. This is the Deluxe Room, which according to the website “is decorated in a colonial style with dark teak panelling”. There are a number of features that I liked about the room and some that I found strange. Like the separate WC for example. 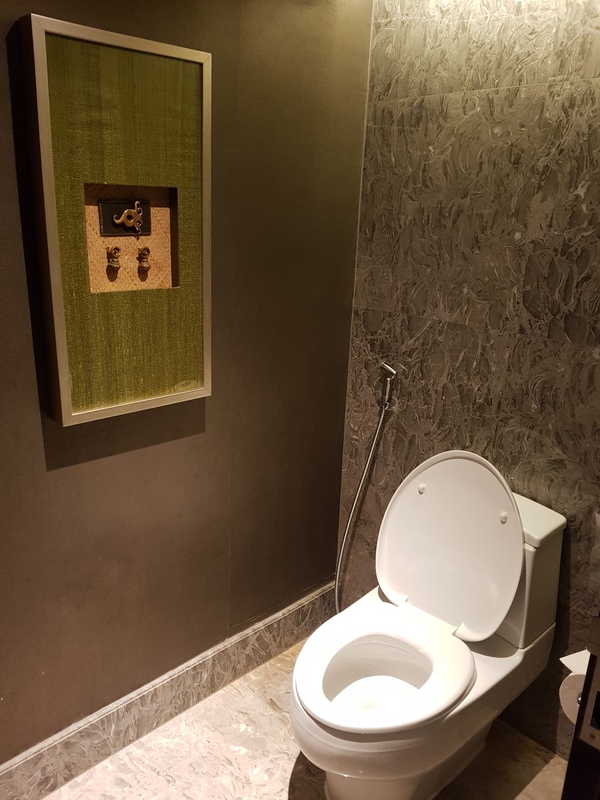 It makes sense to have this room feature in a suite but for a normal room in reality it was rather awkward to cross over to the WC and back to the general washroom area. 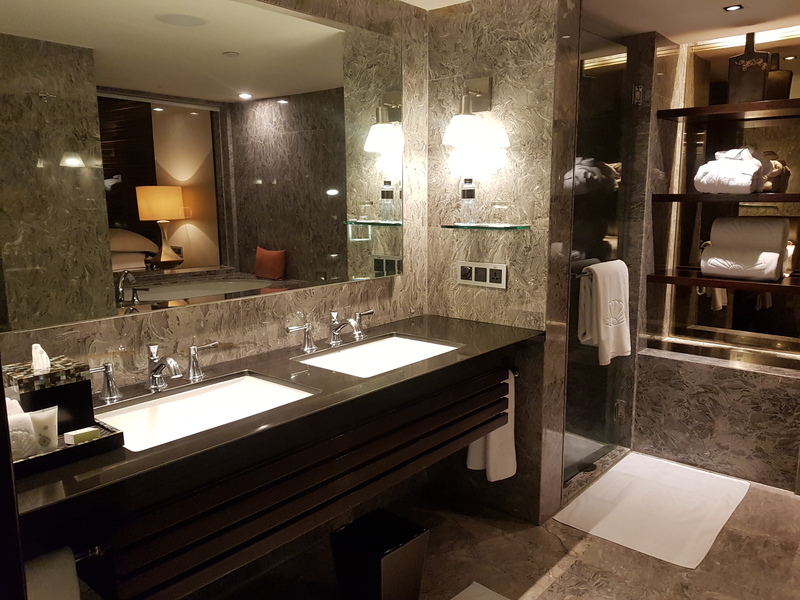 I do love the double sinks and separate vanity area (not pictured). I’ve always wanted double sinks for my home just because it seems like such a luxury to have a choice between left sink or right sink. You know, his and hers sinks. Shower area with the usual rain shower head. Another feature I liked was the built in bench in the shower area. 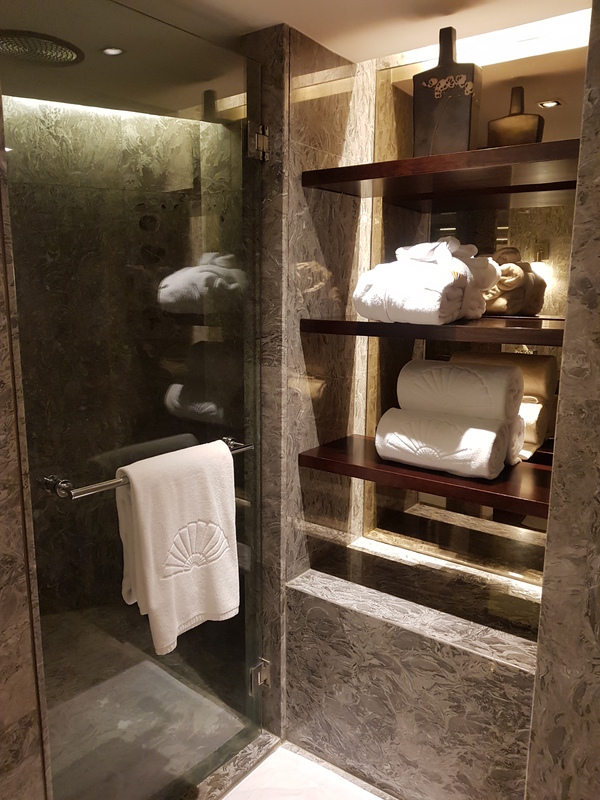 I do wish the Mandarin Oriental Jakarta would use another brand of toiletries because the smell didn’t appeal to me so much so I didn’t use the in-room toiletries. 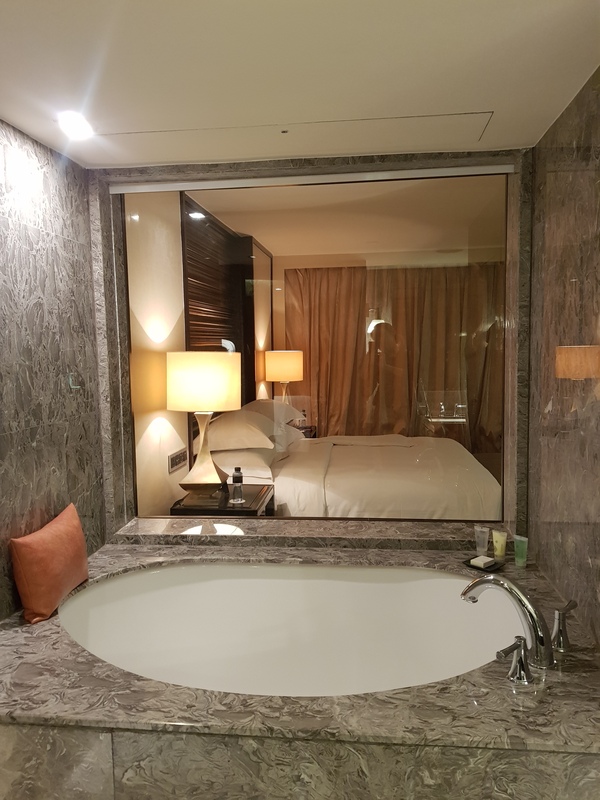 Bathtub with a glass window. Nice to look at but it wasn’t very comfortable for soaking and took ages to fill. I did like the small walk-in styled wardrobe though. 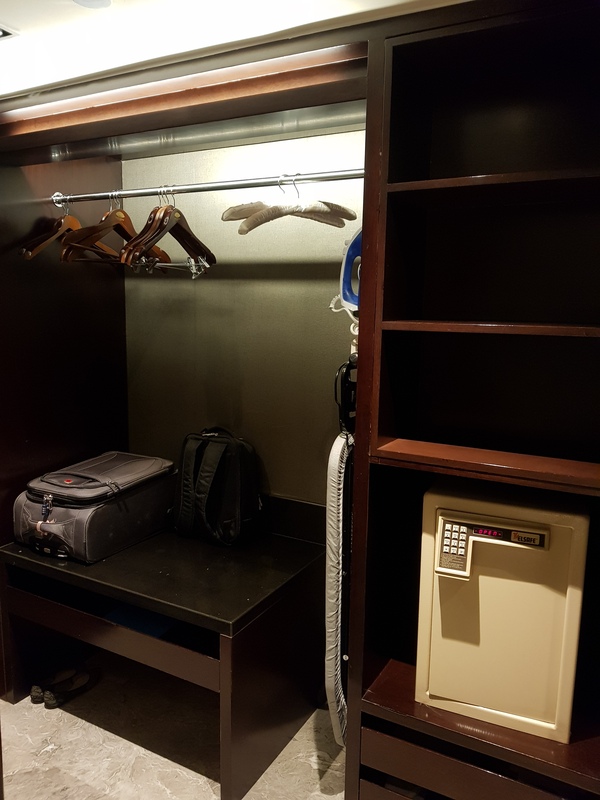 It gave me a place to stash my luggage neatly out of sight once the sliding door was closed. Standard desk for working. 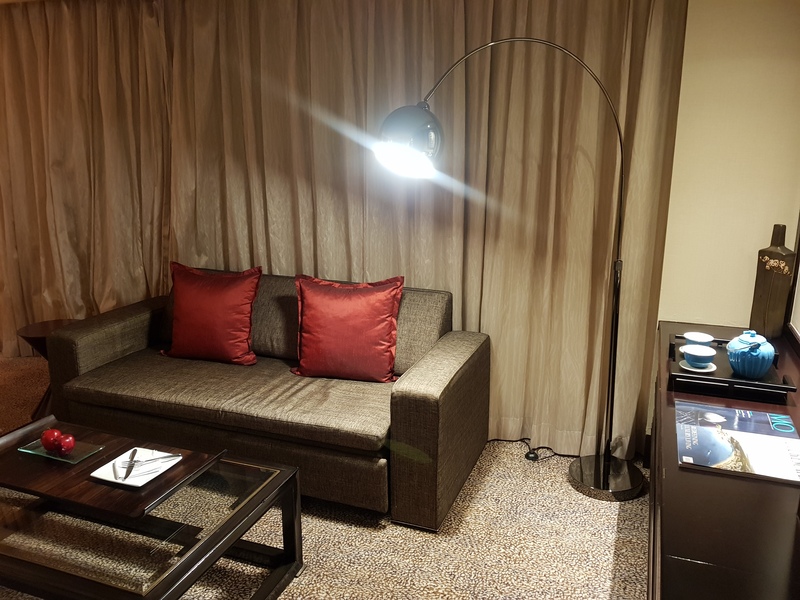 This is where I like to talk about the hotel WiFi, which was blessedly smooth all the way. Sofa area which I didn’t make use of and welcome fruit which I also did not partake of. 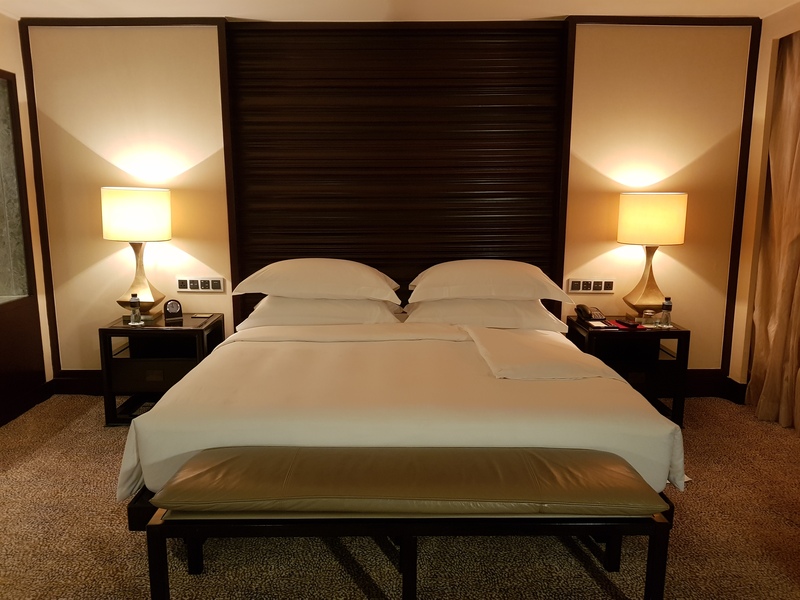 My favourite aspect of the king-sized bed – having four pillows to myself. I don’t need an extensive pillow menu to make me happy. Just give me more pillows. Fat downy pillows are heavenly. 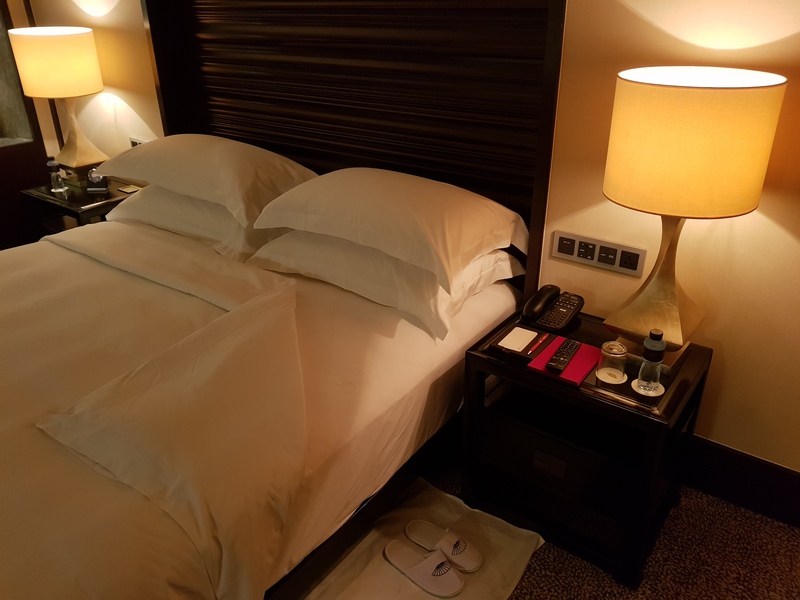 Turn down service – see the bedroom slippers neatly set out by the bed? Every day, I came back to the room to this. Bliss! It is definitely a notch up in terms of service that I can remember from my previous stay two years ago. 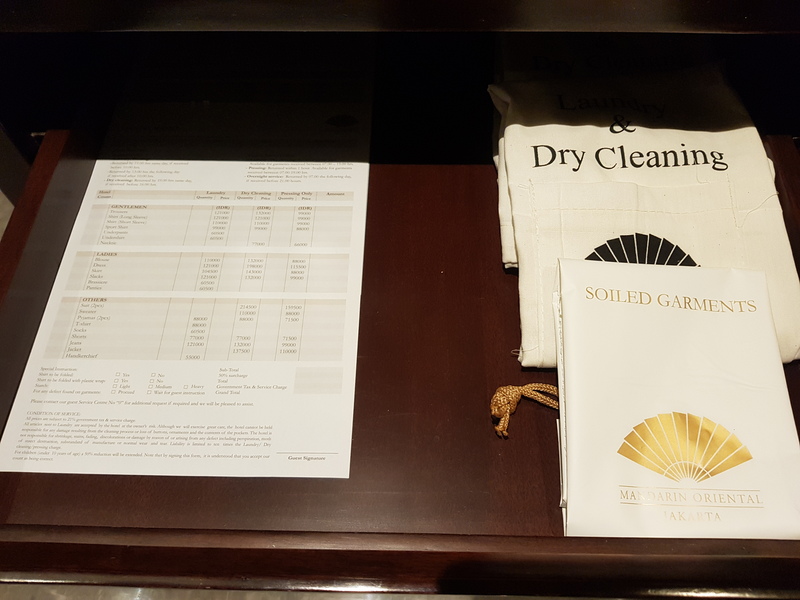 I enjoyed the fact that the Mandarin Oriental Jakarta provided laundry service for two pieces of clothing daily and took full advantage of this service until I checked out since I was staying nearly a full week. 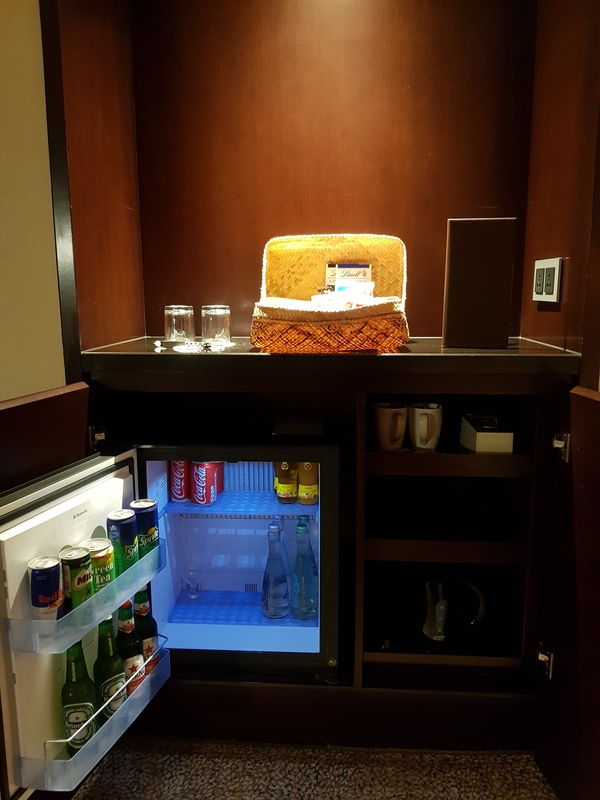 After my stay at the InterContinental COEX in Seoul, the variety in the mini bar and paid snacks seemed rather tame in comparison. Chocolate cake from Cinnamon, the common lounge area and also breakfast place. This was absolutely, decadently, chocolate-y. 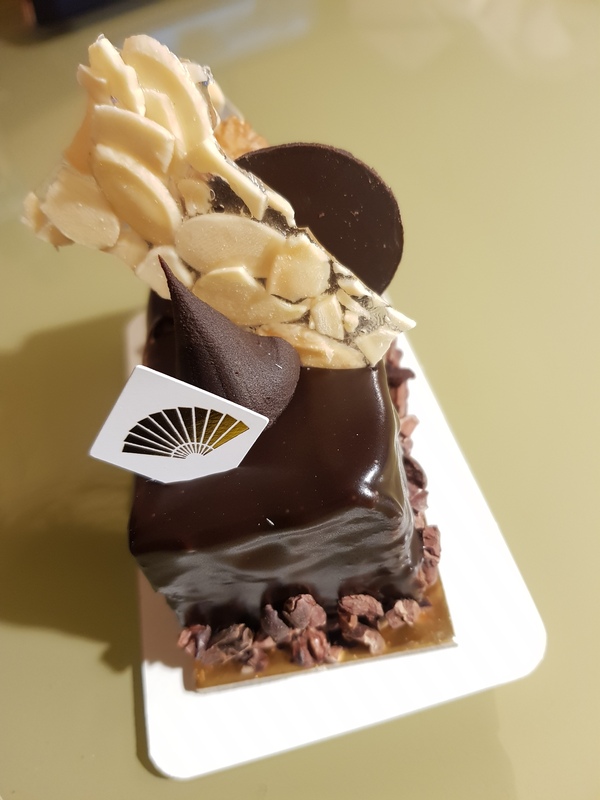 Very rich and only for chocolate lovers. 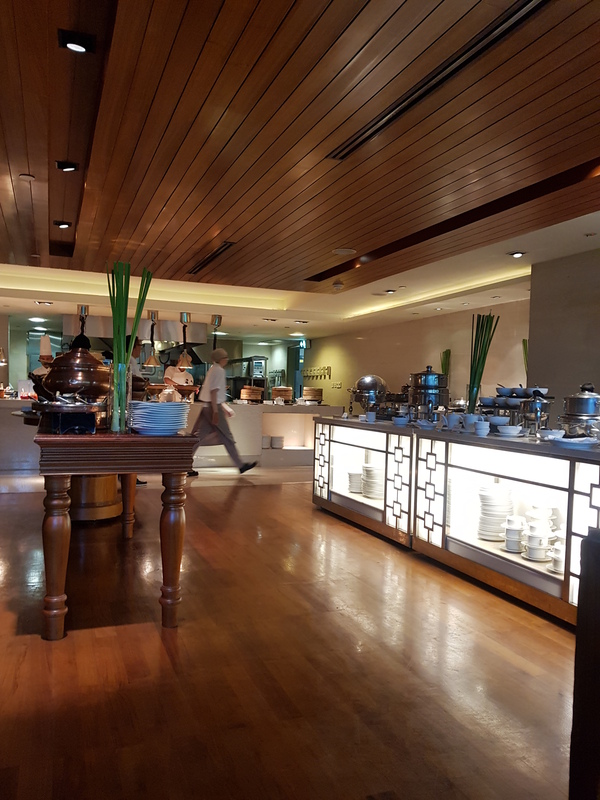 I enjoyed having my breakfast at Cinnamon daily – the service was spot on and attentive, yet discreet. The waitstaff keep on offering to bring your food and drink to the table for you – especially for the made to order items and the juices. The food selection was also pretty well balanced between local and Western breakfast menus so there would be something for everyone. One thing I would like them to change though – please stop leaving the butter pats out in the open. I would much rather have my butter in product packaging and chilled on ice. As it was a work trip, I felt that I had earned the right to some relaxation. 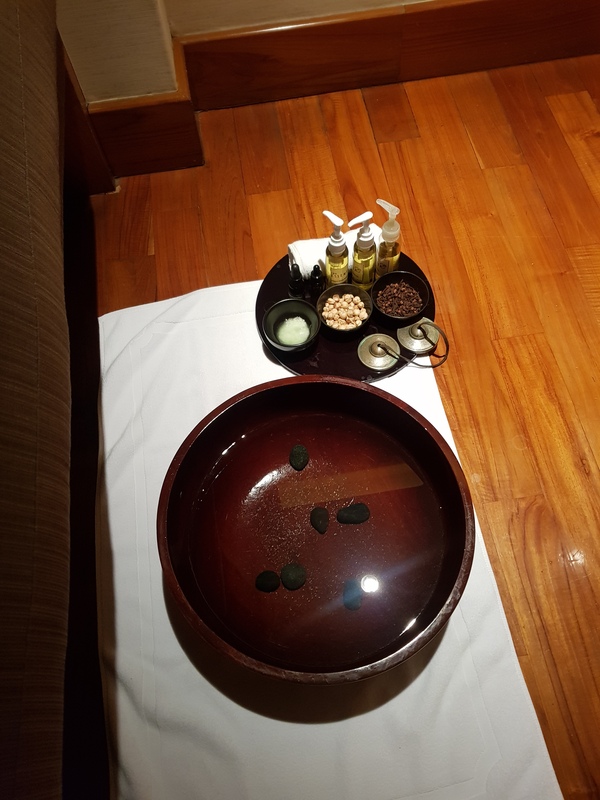 I therefore tried out the Mandarin Oriental Jakarta spa and it was heavenly! The aroma hot stone massage was probably the best hot stone treatment I’ve had due to the experienced hands of the masseuse that sent me straight to dreamland. 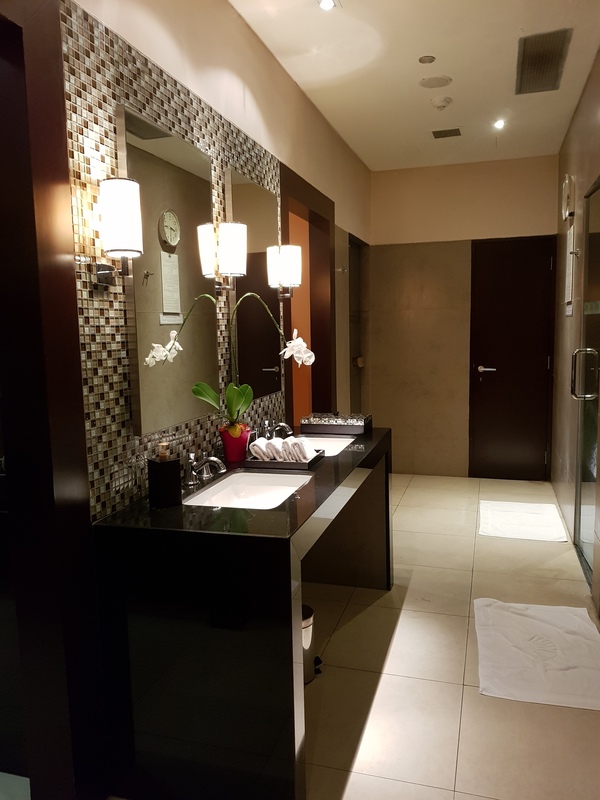 There is also a sauna and steam room facility at the spa, besides showers, but I did not make use of the same, preferring to head back to my room to chill. 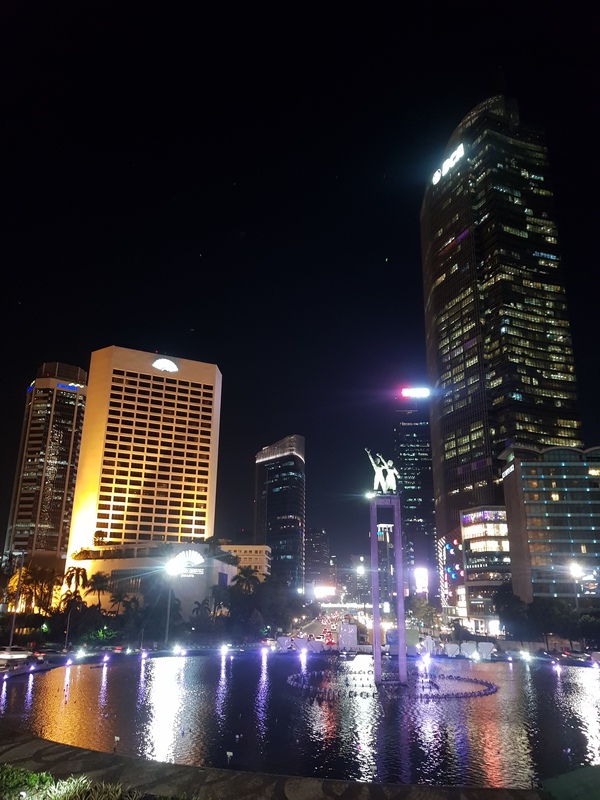 I generally found that the service at the Mandarin Oriental Jakarta had improved overall since my last stay – the hotel staff were impeccably trained to greet you by name as far as possible and also tried to anticipate your every need. Some were more successful than others and you could tell who tried to go the extra mile. All in all, it was a most delightful stay. Previous Entry Fancy a walk around Yeouido to visit Korean broadcasting stations (KBS, MBC)?